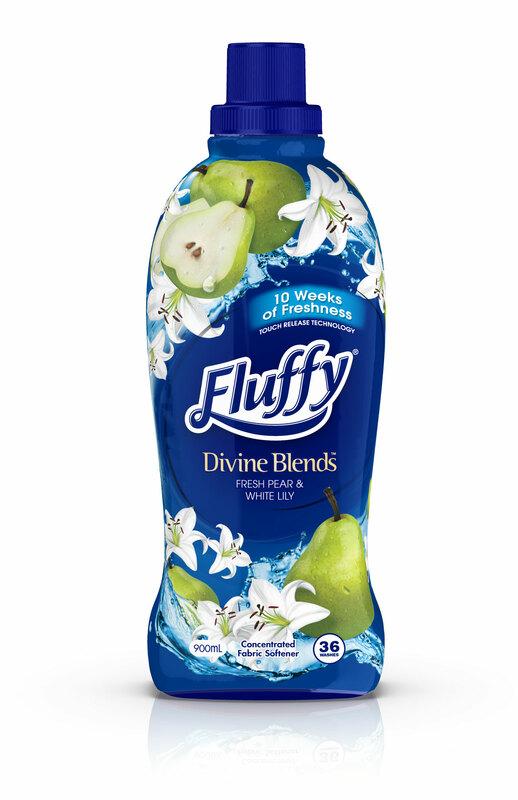 Fluffy Divine Blends is a combination of two scents blended together to deliver a fresh burst of fragrance for an uplifting sensorial experience. Since its launch the range has experienced strong growth and customer appeal. Keeping up with on trend fragrance cues; Fresh Pear and White Lily is the newest edition to the range. The uplifting, fresh fragrance also extends the range into a vibrant green and white colour palette.